Why you should give away your best stuff? Have you ever been in a supermarket? And when you walk through the aisles have you ever come across some friendly lady offering you a free cookie of a small cup of some new drink? Reason 1: once you have tasted that cookie you’ll want to buy the whole box. Or at least that is what the lady hopes you’ll do. Reason 2: the rule of reciprocity: the lady gave you something valuable (great cookie) and now you feel obliged to do something in return (as in buying the box). We, solopreneurs, can do that too. Have you ever been in a shop where they offer you a loyalty card? Did you give your name and email address? And if so, why did you give it to them? To get a discount on the 10th purchase? Why do shops want to create these loyalty programs? they get to communicate with you on a regular basis … you don’t want to miss out on extra discounts, do you? But we can learn something here. People are willing to give their name and email address in return for a reward. And that, my dear reader, is something you should do too. It is important that all of your contacts must have willingly given you their email address, with the knowledge that they would be added to your list and receive emails from you. This has become even more important since the General Data Protection Regulation (GDPR) was approved by the EU Parliament on 14 April 2016. And your potential customer will not be eager to give you his details unless you give him something valuable in return for the “opt-in” to your list. Once somebody opted into your list, you can start a conversation with that person and give him other valuable things for free. All, with the aim to build trust. For example: via weekly blog posts. Once trust is built and the need is there, the customer is likely to buy your stuff. Last weeks I gave a couple of online trainings (webinars). And I am organizing more of them. Anyway, how visible are you online? How’s your online Personal Brand doing? Becoming the go-to-person in your field. People will not all of a sudden trust you. You have to build a relationship with your community. And that is what the list is about. You might think that having a large number of connections on LinkedIn is that list. Well, it’s not the official/legal way of building a list. That’s one thing. Two, if LinkedIn shuts down permanently, you have lost your connections. So you better do it the official/legal way. My suggestion is that you start by selecting an email marketing service. Today, I use Mailchimp – there is a free version to start with and is user friendly. There are basic legal requirements for sending out email marketing messages you need to be aware of, hence my note about doing it the official/legal way. The EU Opt-in Directive stipulates that direct marketing email messages may be sent only to recipients who have given their prior consent (opt-in). Same thing in the US. So you need an opt-in. They have to say “yes, start sending me mails”. Well actually, that is not what they will be saying. This means you have to have something really great to offer. And that is where the opt-in offer comes in. Oh, and you give it away for free! About “problems” and your “solution”. In a way that is not salezy. And that doesn’t transform you into a bragger. “Does it take time and effort?” Yes, it does. Rome wasn’t built in a day, nor will your Personal Brand be. But there is an efficient way of approaching this. “Is it worth it?” Yes it is. At least, if you want to stand out from the competition, get noticed by your potential clients and enjoy (financial) freedom. And I can help you with that. Every decent sporter has a coach – are you a decent entrepreneur? Get noticed, attract clients, enjoy (financial) freedom! Questions, doubts, remarks – contact me! PS: if you think one of your friends/colleagues/business partners could benefit from this free program- SHARE! Merci! How to avoid your writer’s blog – video? Are you convinced that blogging might just be a great solution to build your Personal Brand? But you ask yourself… what exactly will I be writing about? No worries – you are not alone! And in this video I will give you 3 tips on how to avoid the writer’s block. Questions – what questions do people ask you with regards to your topic? Think back on the struggles you had with regards to your topic, what difficulties you faced… and what are the answers you found in the meanwhile?.. More information in this video! PS: my good friend Ilse Van Eetvelde and myself have decided to join forces and created a new club: the Barefoot Business Bloggers. With this club comes a new website: www.StartToBlogNow.com where you’ll learn everything you need to know about blogging. So hurry up and discover lots of tips and freebees. Your turn: share 1 great tip on how to avoid the writer’s block! Many thanks. I had a call from a former colleague of mine, Karen. And I have to deal with it. Back to Karen – she was wondering whether she should start to blog. Well, that is a good question. … you might just not be the right person to start to blog. Find out in this video whether blogging could be good for you and your business? And what to do to connect with your target audience without blogging. And if you do decide to start to blog, discover here what your first big step is! Well, I’ll reveal that right now. Together with my good friend Ilse Van Eetvelde, we created a brand new website full of tips and articles on blogging. Keep on returning to that website, because we’ll be adding great stuff regularly. The site is not at all a static finished one. What’s the best way to become a thought leader? 1/ By having something to tell / teach. Becoming a thought leader is becoming known as THE expert so it is obvious that the (internal) client should turn to you when he or she is struggling with that problem you have THE solution for! 1/ So first – find your message. Last week I had the pleasure to spend two days with one of my clients and great artist: Axelle Vanquaillie. And with a bunch of enthusiastic entrepreneurs and intrapreneurs. We are are all eager to use our creative “talents” more often in our professional life. We had the privilege to learn the doodling skills from Axelle and the story telling secrets from Lily Martens. In this video I’ll teach you the 8 fundamentals of Personal Branding. 8 steps actually. Discover these steps and more in this video! And if you like, please do tell a friend. I don’t know how about you, but you see them everywhere: the online challenges, the online webinars, the videos. Blog, tweet, sell yourself online to death. Yell as loudly and as frequently as possible online. Because if you don’t, you don’t matter. 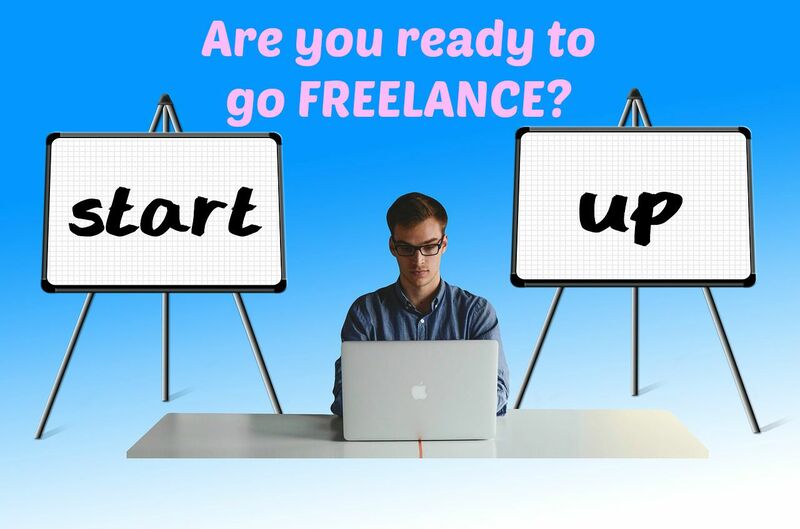 Are you ready to go FREELANCE? Ask yourself these questions… (PART 3) & do the TEST! Two weeks ago I started this serie of 3 blog posts regarding the questions you need to ask yourself before you jump into the Freelance adventure. 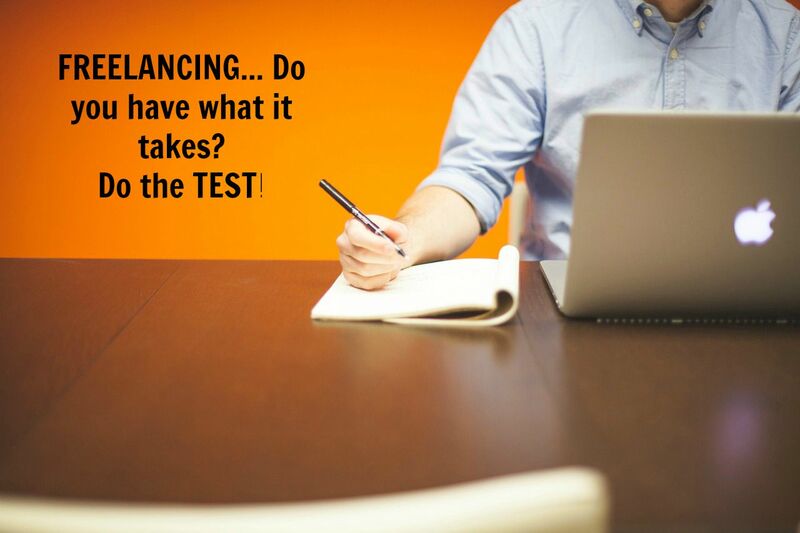 Last week I started this serie of 3 blog posts regarding the questions you need to ask yourself before you jump into the Freelance adventure. I read an interesting article in the Harvard Business Review “7 questions to ask yourself before going freelance” from Sara Horowitz, head of the Freelancers Union. 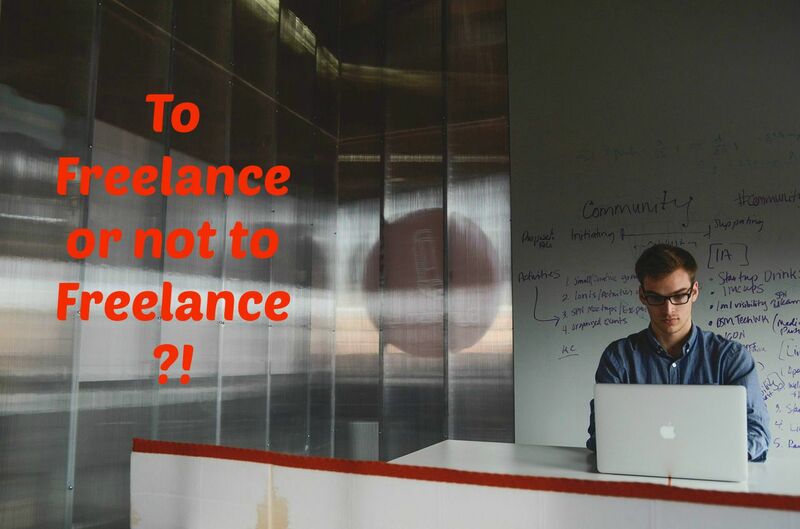 I meet a lot of people in doubt “should I become a freelancer or not? What are the risks? What are the benefits?” I always ask them several questions in line with the article. We’ll cover 9 questions in this and the next blog posts. And together with these, I have several assignments for you! So let’s get started. Do you want to get noticed by your potential clients? Learn the 5 steps to build your Personal Brand and attract all the clients you want in this FREE 35-page e-book! By downloading the eBook you explicitly give us permission to be included in our database. In exchange, you will be kept informed of the latest trends in business, marketing, sales, personal branding etc ... No worries, we will not spam you and you can unsubscribe at any time.